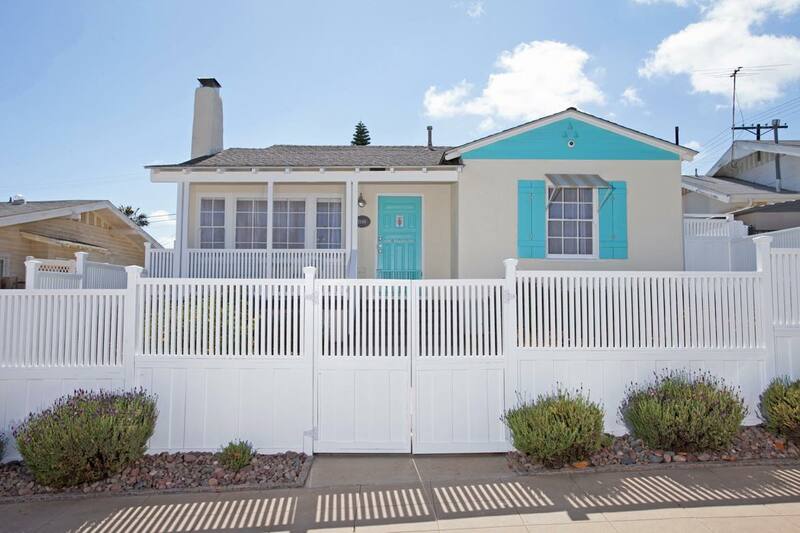 You have been searching for a home to buy in North Park, San Diego for quite some time. 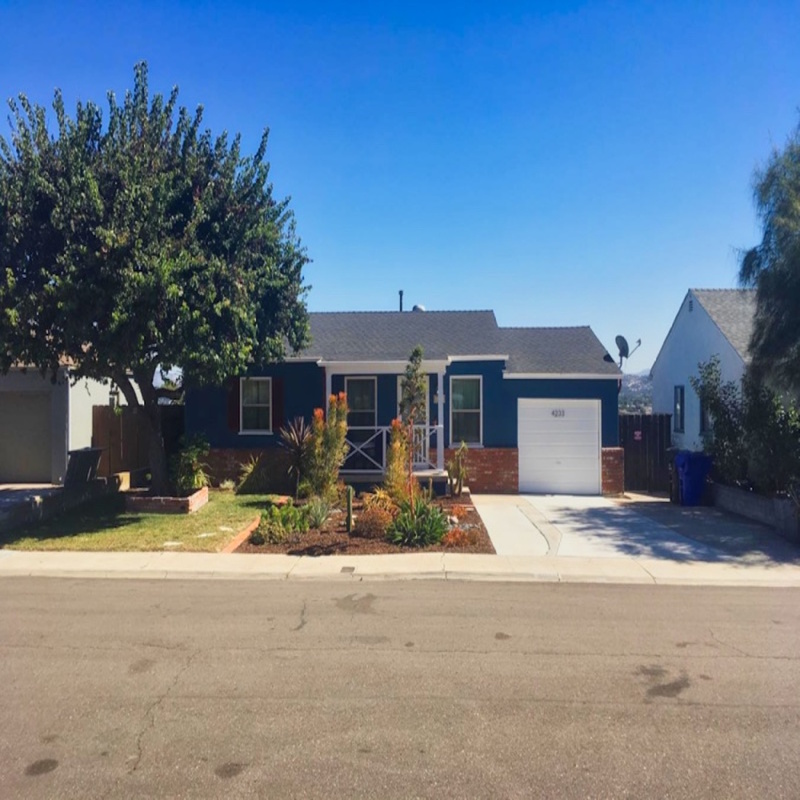 Finally, you found a house you love and the seller has accepted your offer - You are now in what we in San Diego call “in escrow”, so what’s next? The first thing to do is have a conversation with your Realtor. Find out what the next steps are and what to expect. What Does In Escrow Mean? Escrow is a third party company that holds the deed to a seller’s property until the buyer has acquired a mortgage and/or comes in with the complete funds and all conditions have been met to purchase the seller’s home. It is time for you and your Realtor to schedule the home inspection. The home inspection is a crucial part of the home-buying process, and there is only a small window of time to get it done. A great realtor will be on top of things to make sure the process goes as smoothly as possible. Although the buyer is responsible for the home inspection report, sellers will sometimes have their own pre-inspection report done in order to avoid surprises after accepting an offer. This is not to say that you are not to do your own inspection. You can, and should. However, it’s important not to assume that you will be able to renegotiate on the purchase price after your inspection is done. You are simply having this done to either confirm what is already in the seller's’ report or to have your own completed by your preferred home inspector. The purpose of a home inspection is to evaluate the condition of a property before you buy it. You want to know exactly what you are going to be purchasing and if there is anything of concern that you should know about. This does not mean that the seller will have to fix any of the items that come up in the home inspection. Although, if you have a good buyers agent, they will be able to negotiate certain items if they are major ones. With this being said, this will depend on the seller and on whether you are in a buyer’s market or a seller’s market. What Is Checked During a Home Inspection? The home inspector will look at the infrastructure of the house: the heating/air-conditioning system, plumbing, structure, electrical, and fireplace ventilation. The condition of the roof, the exterior of the building, the driveway and walkways, surrounding walls, and fences are also checked. The inspector makes sure the house is safe to inhabit and that it is up to code. There are hundreds of things that a home inspector checks, so it’s important to prepare if you have specific things you want to focus on.When the home inspector is finished, he or she will produce a home inspection report, a document with all the details of the findings of the inspection. This may be obvious, but make sure you are present for the home inspection. 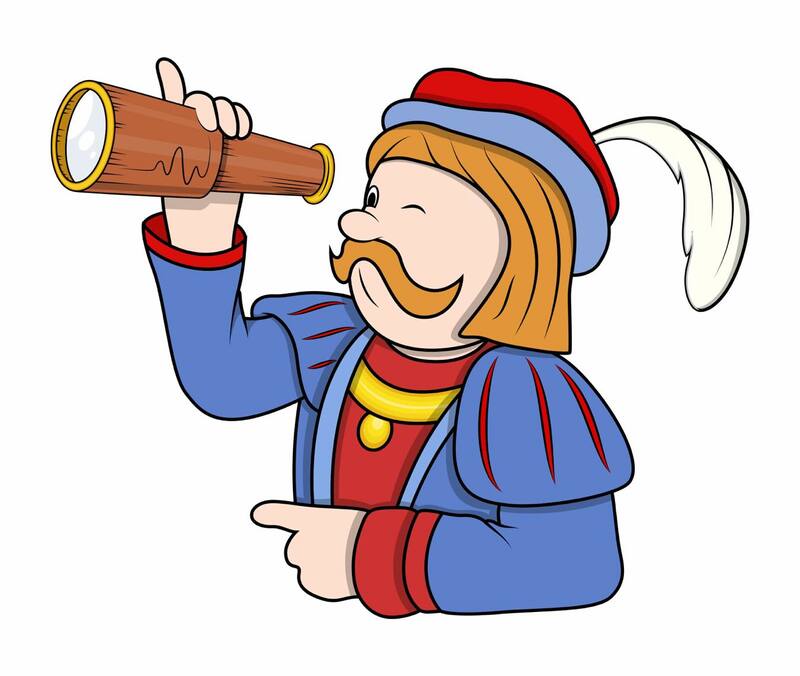 You will get a lot more out of being there than by trying to read the home inspection report afterward. You want to learn as much as possible about your new home. The inspector will show you how the systems work. They’ll also point things out that are currently acceptable but will need maintenance down the line. Make sure you have ample time scheduled to be there. A home inspection in a North Park or South Park Home typically takes around 2-4 hours. This, of course, depends on the size of the house and how much access space is under the house and in the attic. Most of the homes in this part of San Diego do not have basements like in the Mid-West or East Coast. Here, we have crawl spaces, and some are not very big. So, for this reason, it can take some time for a diligent home inspector. This is your future home - you don’t want to miss something important because you are thinking about another appointment. Be attentive, and don’t be afraid to ask questions. Your Realtor should have the number of several trusted licensed home inspectors to choose from. You don’t want to hire an inexperienced home inspector that misses things during the inspection. Also, your Realtor should go through the seller's disclosures with you and make sure that you understand what is in them. If the seller is aware of any issues or malfunctions, hopefully, they have noted them in these disclosures. Technically, you have 17 days to remove the home inspection contingency if you did not change that in your offer. Although, a good Buyer’s Agent will reduce the timeframe to 10 days to appeal to the sellers so that your offer looks better than your competition. This is why an organized Realtor is crucial - you’ll need someone who’s on the ball to make sure this part of the process goes smoothly. For more info on getting your offer accepted, check out this article. Your Realtor should ask the listing agent to provide the disclosures before you have the inspection done. This will help since the seller would have put anything and everything that they know about the home in these documents. There may have been things that the seller already repaired. By having them in front of you, you can have your inspector look at those areas. It is a good idea to make a buyer home inspection checklist beforehand. This way, you will be able to ask the home inspector about it and make sure that they address the question of concern. Water Intrusion - It doesn’t rain much in San Diego, but when it does, you want to be dry when you’re in your home! A wet crawl space is a sign the house floods when it does rain so ask the inspector if there dampness. You can check for damp odor yourself. Also, if the house has the original roof, there could be a leak or two - look in the attic for water stains. This can tell you something about the roof’s current condition. Check around the windows for any signs of leaks. Make sure the drainage of the property is good by checking the condition of the gutters. Electrical System - A home inspector will check the performance of the electrical panel for voltage drop and grounding. He doesn’t have to check all the outlets/light switches so it’s a good idea for you to check so you can ask about any faulty outlets you may discover. Exterior - Look at the condition of exterior walls, porch, and surrounding areas like a patio/front garden. Replacing concrete is costly and labor intensive, so take note of the condition the of driveway, walkways, sidewalk in front of the house. Foundation - A fundamental part of the house. Fixing can be very expensive, so make sure the foundation is in good order. Your realtor will have trusted resources for foundation contractors and structural engineers so make sure to put this to use. Plumbing: The obvious is making sure all the plumbing fixtures work. The inspector will check the water heater. It may pass the inspection, but you can ask how soon it needs to be replaced. Also, you don’t want the sewer line cracking after you’ve moved in, so ask the seller if it has been scoped for signs of damage. You should also have a plumber scope the sewer line during your inspection period as well. Heating/cooling system: Set the thermostat to a cold temperature, like 60 degrees, and see how cold the air coming out of the vents get. If it doesn’t get that very cold, the system will probably need to be serviced. Often, when newer systems are put in, the old system will be left underneath the house. Ask the seller if it’s been removed, or you’ll have to do it yourself. Every case is different, so it depends on how much information on the home was listed upfront. If all inspections, reports, and bids were presented upfront, before you submitted an offer, there is not much to expect that a seller will fix. If these items were not presented up front and instead they are discovered during your inspections, this is different. Again, it depends on the seller's motivation, what kind of market we are in and how reasonable, you, the buyer are being when asking for repairs. If the house comes back with major unexpected issues and the seller is not willing to renegotiate, then you may want to move on to the next property. If the seller will renegotiate, this can be a possible win-win for both you and the seller. Once the house is yours, all the quirks that go with the home are now yours too. The great thing about the home inspection is that if it comes back that the house has major issues and you do not want to deal with this, you can cancel within your contingency period and move on. When you’re aware of what you’re getting into, or knowing beforehand that you’ll have the choice to walk away completely, you’ll feel more confident about buying a hoe. For more tips on feeling confident when buying, read this article. North Park is one of the Hottest Zip Codes for Millennials! Across the country, millennials have become major players in the real estate market, turning some zip codes into the hottest home buying markets. The neighborhoods popular with millennials have strong job markets, affordable housing options, and great local amenities. A research team from Realtor.com® recently examined 32,000 zip codes around the United States to discover which neighborhoods have the fastest selling homes and the most homes being searched on their site. It comes as no surprise that the hip San Diego neighborhood of North Park (92104) is one of the top 10 hottest places for millennials!! There has been an explosion of people moving to North Park from other parts of the Country because of all that it has to offer. It offers so many things to do, the choices are endless. Not only is it a neighborhood where millennials are flocking to, it is also a place where parents of children who have grown and left the nest are coming back to. They are selling their larger homes in Surburbia and coming to a neighborhood where they can enjoy flexibiltiy of leaving the car home and walking to nearby amenities. With its great cultural diversity, delicious dining options, eclectic coffee shops, unique boutiques, numerous art galleries, and entertainment and nightlife options, North Park is the perfect spot for this young generation of home buyers to settle down! This neighborhood is continually seeing new development, with awesome new restaurants, breweries, and stores opening up, as well as additional housing developments which offer even more affordable options for millennials. Recognizing this growing demographic of residents, developers in North Park are also looking at ways to increase the walkability and public transportation in the neighborhood. Spend a day in North Park to see why it is one of the best San Diego spots to call home. You will never run out of things to do. Explore 30th Street, University Avenue, and El Cajon Boulevard to find some of the best restaurants and shopping in the city. Check out the variety of theater groups and art venues in the area for a unique night out. And, be sure to swing by the spectacular Balboa Park, conveniently located right next to this neighborhood. You will surely fall in love with this neighborhood after discovering all that it has to offer. If you decide that your would like to buy a home, condo/townhouse, or an investment property in the North Park area, the McT Real Estate Group is your #1 resource. Check out the incredible North Park Featured Homes currently on the market! 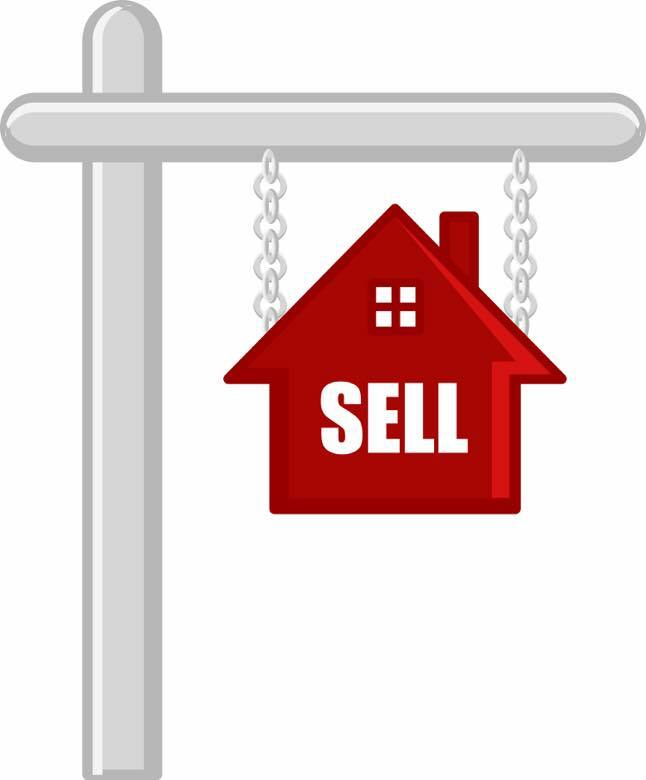 Give our team a call today or visit our website at http://www.marymctsoldme.com to learn more! Pre-Sneak- Preview- Open House Today from 1-3. North Park, San Diego is one of the most sought out neighborhoods in San Diego's Metro Community. The culturally diverse group of people that live here, the and ability to walk to a great variety of restaurants in North Park such as Urban Solace, Sipz, cardamom bakery (just to name a few), unique shops such as Pigment or Simply Local, and the older style Craftsman, Spanish and Bungalow Style homes make it unique and a fun place for all age groups. Today we are introducing this beautiful Spanish Style home in North Park which has been updated with today's amenities, such as central AC, open concept kitchen, updated bathrooms, yet still captivating original charm with its' barrel ceiling and large arched picture window in the living room. For more information or to schedule a private showing, call us directly at (619) 940-1554. South Park has a Mult-Unit Property that has two Darling Rentals Properties and waiting for great tenants. We will have open houses for both on Sat. May 6th from 12-2pm. For more info on these detached homes, click on the images below. 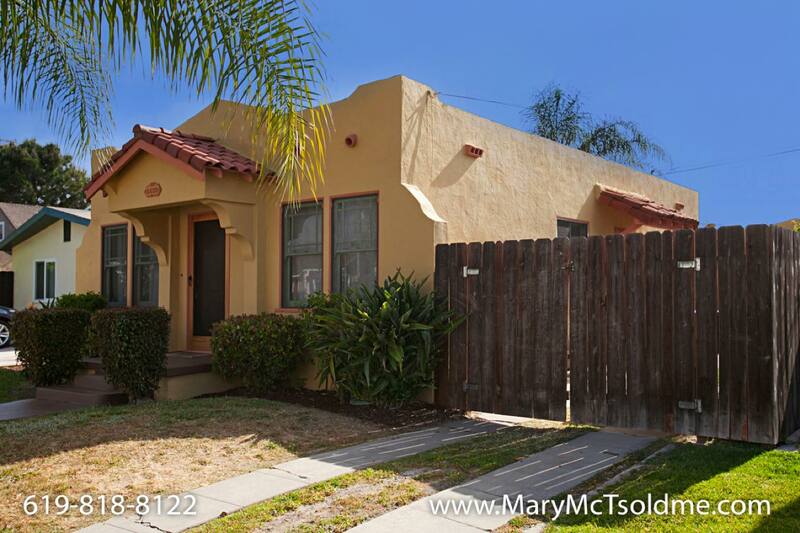 4433 Bancroft Street is our newest listing for sale in San Diego, specifically, Normal Heights. Come take a look today at this wonderful Spanish Style Bungalow located in a great neighborhood in San Diego just several blocks from Adams Avenue's restaurants, cafe's and neighborhood boutiques. Enjoy living in a high walkable area of San Diego. 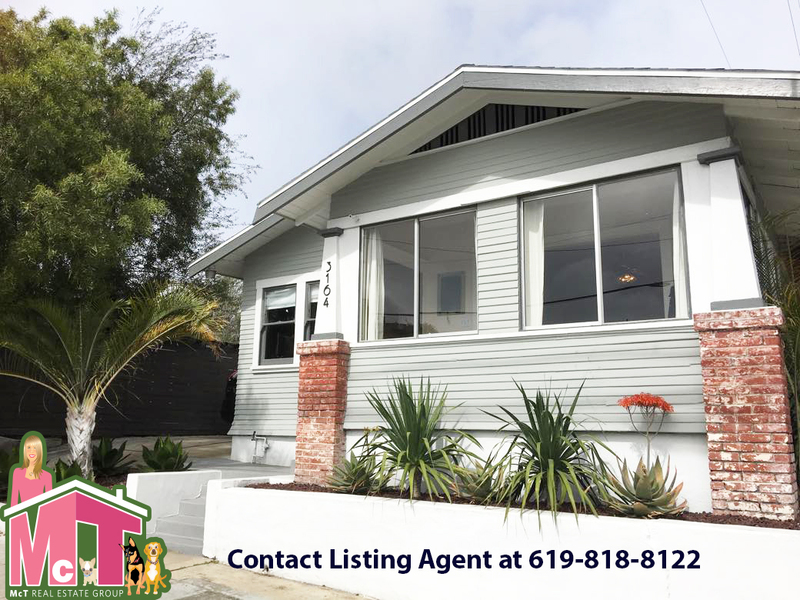 Click on the image below to see all photos and find out more information about this Spanish Style Bungalow in Normal Heights, San Diego. The McT Real Estate Group is excited to announce our 1 round of the 25th Home Sale Charity Donation Program! We will be donating $5,000 across 4 local charities as chosen by YOU the local community! Thank you all who participated thus far. Below are the organizations that YOU have chosen. Now let's see who makes it to the top 4. Voting starts today until May 1st. 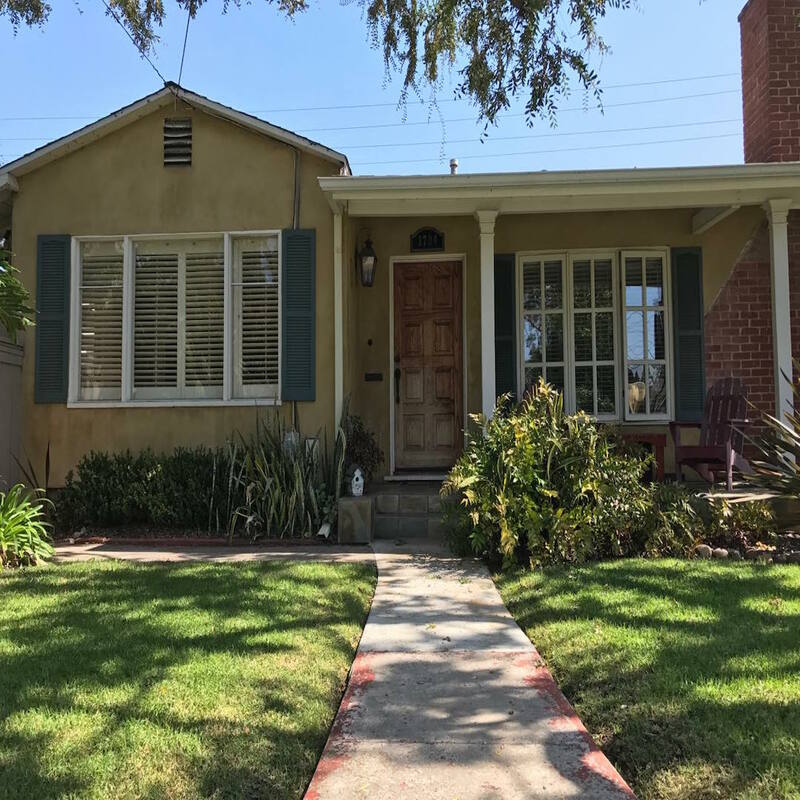 3164 Thorn Street is a California Bungalow in the North Park neighborhood of San Diego that will be hitting the market next week. 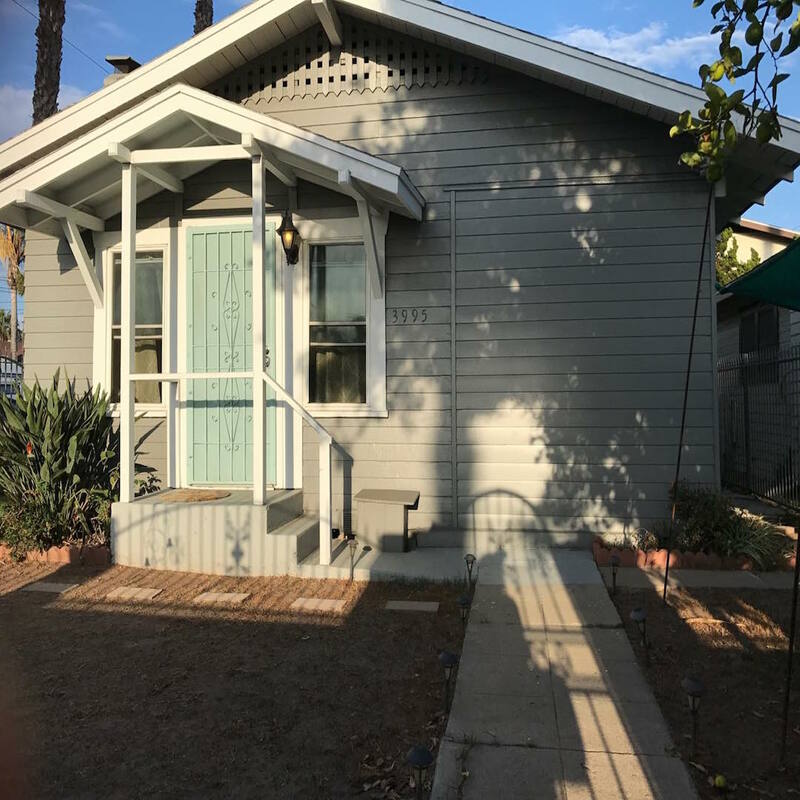 It is located in a great area of North Park within the McKinley Elementary School Boundaries and within walking distance of many great Restaurants and Coffee Shops. Leave the car at home and take a hike in Balboa Park and walk to South Park and enjoy the eclectic shopping that South Park delivers. 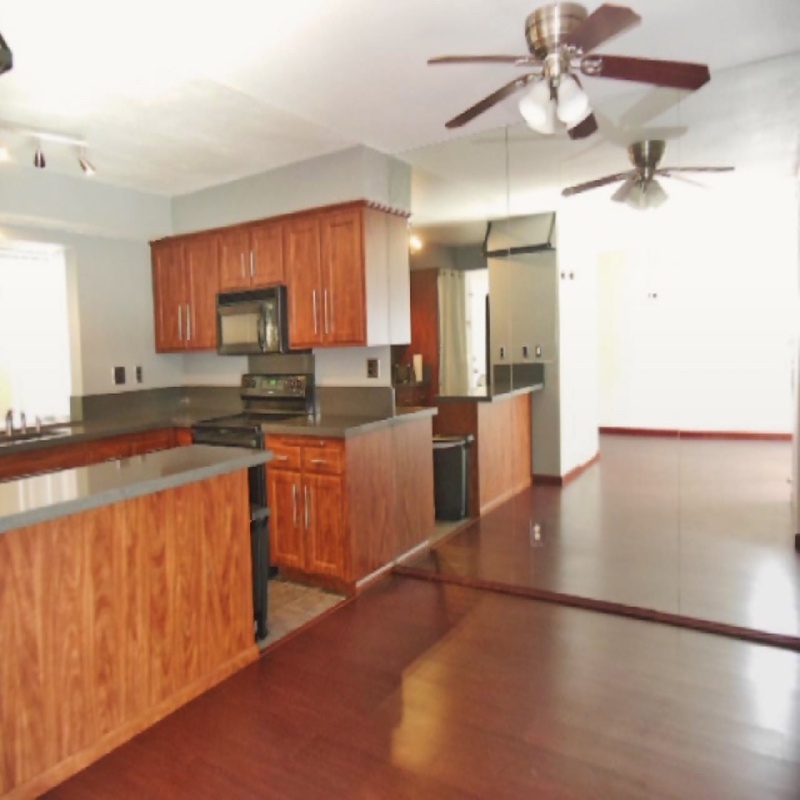 There is lots of natural lighting, low maintenance backyard, and a detached garage. Open Houses will be on April 22nd and 23rd so don't miss the opportunity to see this home in person and enjoy all of what North Park has to offer. For more information on this home, contact the McT Real Estate Group at 619-818-8122.